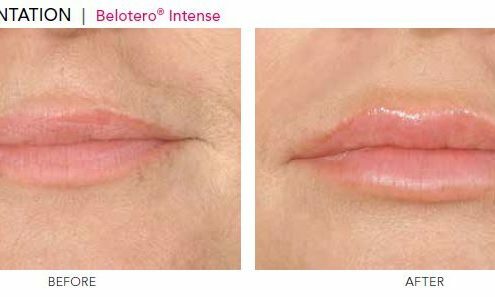 Belotero is an HA filler, which smoothes and fills fine lines and wrinkles, recreating the skin’s natural plumpness while also rehydrating. Belotero is made from the same volumising and hydrating component that already exists in the skin – known as hyaluronic acid (HA). HA can carry up to 1000 times its own weight in water, which means the skin’s smoothness (the hydrating effect) and the fat deposits (the volumising effect) are retained. 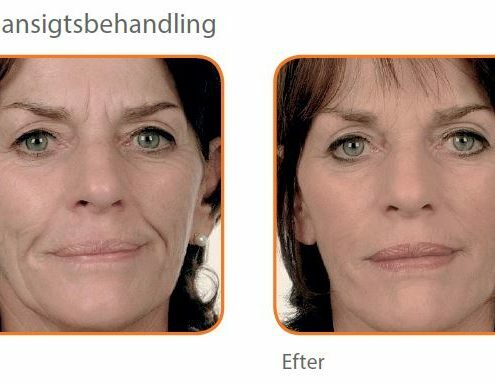 The product is therefore a natural choice for people who want fewer lines and wrinkles. 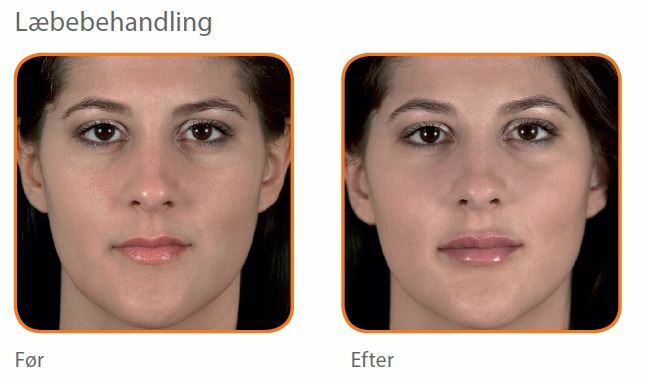 The Belotero® range of fillers with its gel-texture is manufactured using a patented Dynamic Cross-Linking Technology that results among others in a monophasic Cohesive Polydensified Matrix (CPM). This advanced DCLT technology provides the ideal balance of cohesivity, elasticity, and plasticity to meet the needs of the targeted layer of the skin. 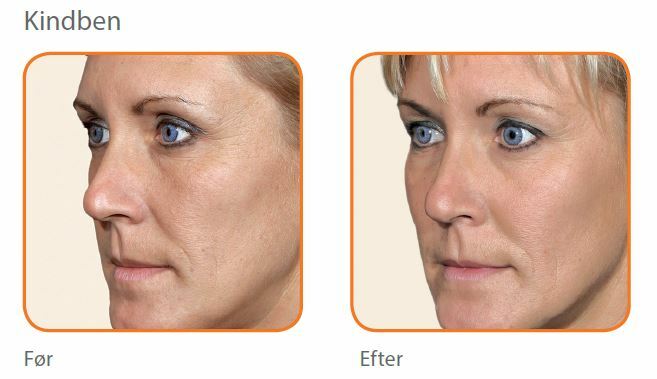 Belotero’s patented technology is registered throughout the world and is both FDA-approved and CE-marked. 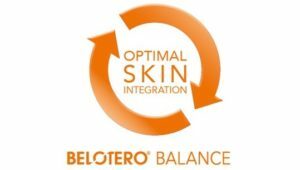 Belotero aims to provide quality and the best products containing HA for a guaranteed result, which is both natural and long-lasting. 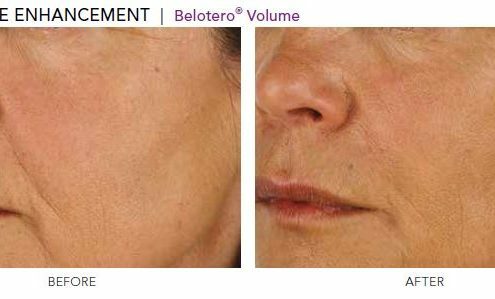 Belotero range offers an extended range for smoothing and filling wrinkles, lip augmentation, restoring facial volumes and rehydrating skin. 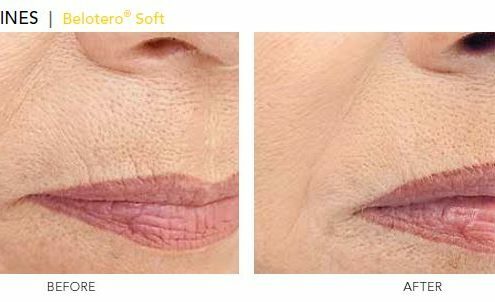 The Belotero products can be used individually or in combination to tailor an aesthetic solution depending on the skin’s structural and functional needs with predictable and natural outcomes. 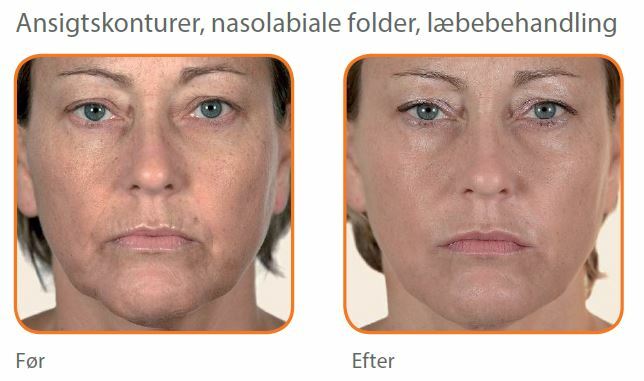 Nearly the complete Belotero range of fillers is now also available with lidocaine. The influence of lidocaine even endures after the injection procedure. 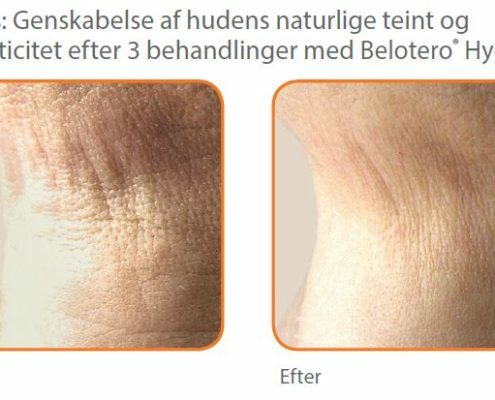 For some time now, Nosomed has seen a demand for a Skin Booster in the BELOTERO portfolio. It is therefore a pleasure for us to be able to tell you, that NOW it is FINALLY here. It’s called BELOTERO Revive. It’s a brand new product that is targeted at the increasing demand in the category of Skin Quality Boosters. 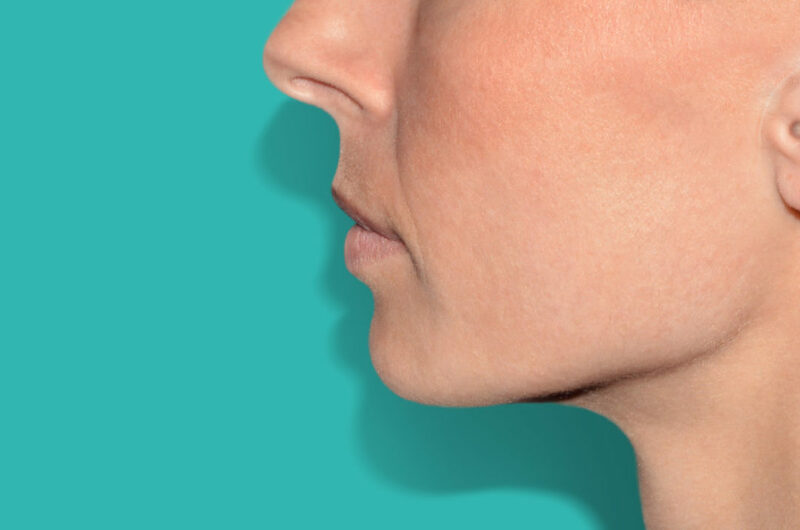 Skin Quality Boosters is a fast-growing aesthetic treatment, and meets the needs of many younger patients, who do not want volume, but rather want a smoother, more uniform skin and improved skin quality. 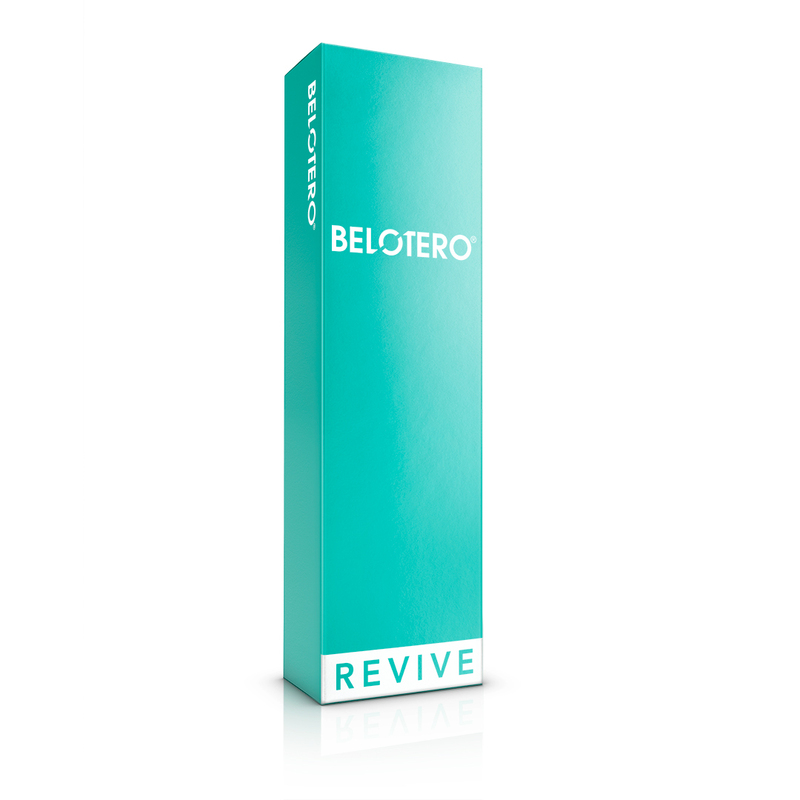 BELOTERO Revive is also suitable for the more mature skin, for improving the elasticity and firmness of the skin, as well as smoothing out fine and superficial lines on the face. BELOTERO REVIVE consists of 20 mg / ml HA + 17 mg / ml glycerol and comes in a 1ml syringe without lidocaine. It is cross-linked (+) with a lower ratio than BELOTERO Soft and has the highest cohesiveness within the BELOTERO range. It is extremely suitable for superficial injection and blanching. 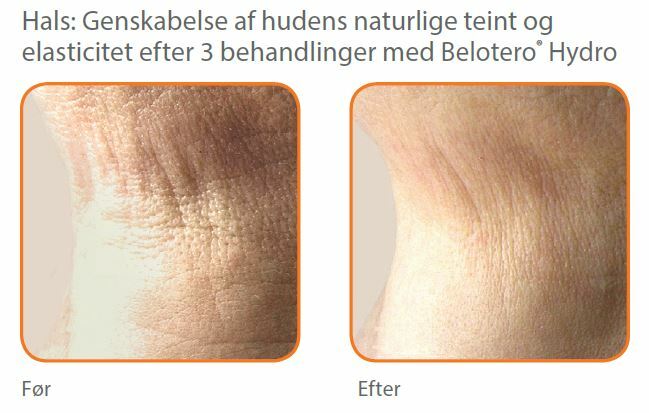 BELOTERO Revive is based on the same unique technology as the other BELOTERO products. It is manufactured using a patented dynamic, cross-linked technology, which results in a monophasic cohesive polydensified matrix (CPM) gel. This technology creates the best balance between cohesiveness, elasticity and plasticity that is needed, to ensure the most optimal integration into the skin, and thus a natural and durable result. 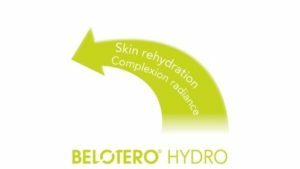 Belotero Hydro is specifically designed for deep rehydration treatments. 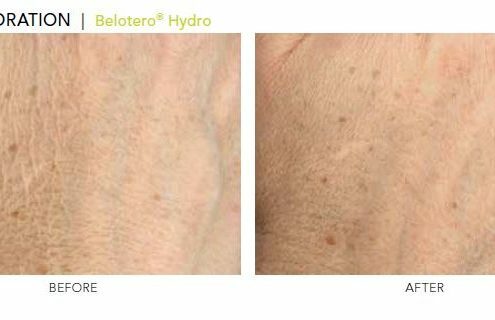 The recommended injection sites for skin rejuvenation with Belotero Hydro are the face, neck, décolletage, and back of the hands. 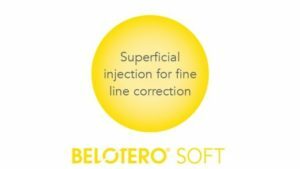 Belotero Soft is optimised for fine line correction and deep rehydration due to its excellent cohesivity and its water binding capacity. 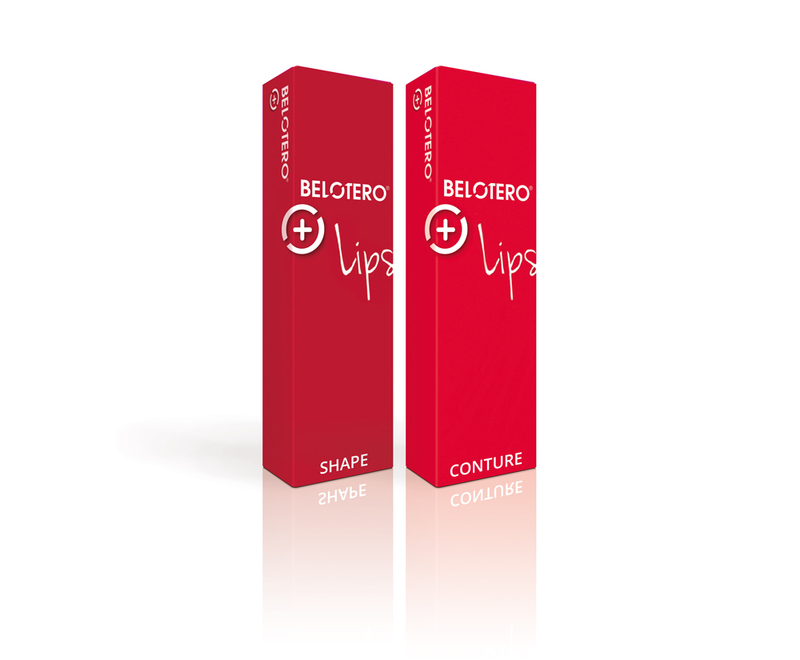 Belotero Soft is indicated for fine lines such as crow´s feet and perioral lines. 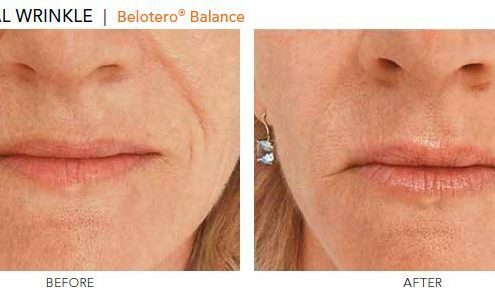 Belotero Balance is your choice for the correction of medium to deep lines such as perioral lines. It seamlessly integrates into the skin and can also be used for the enhancement of the vermillion border. Belotero Intense provides optimal filling capacity for predictable, natural looking results while maintaining excellent tissue integration to minimise lumps and bumps. 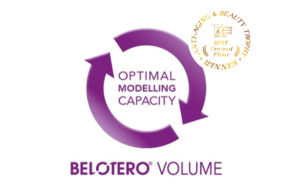 Belotero Volume models and restores facial volume due to its tailored plasticity. Based on its balanced cohesivity, the product is long lasting and with no migration. 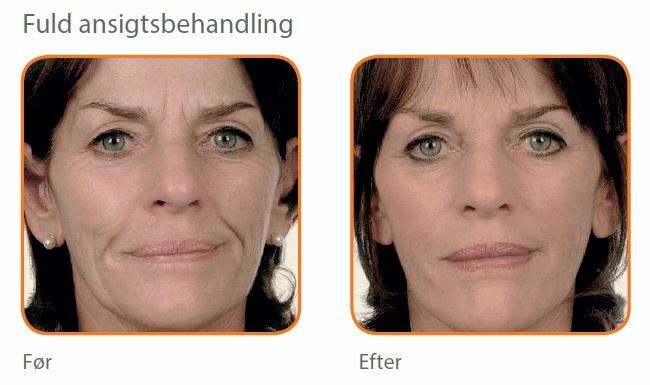 Belotero Volume can be injected into different areas to restore facial volume, e.g. cheekbones, cheeks, and temples. 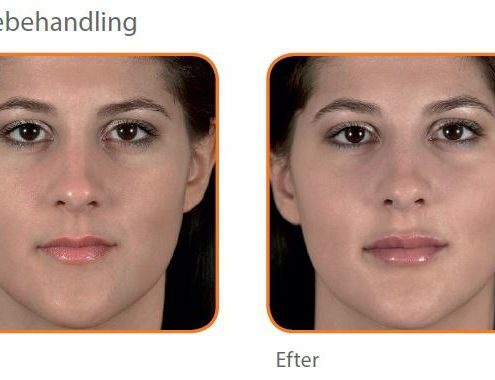 In the gallery you will find before and after treatment photos with full facial treatments to treatments in specific areas. If you want to know more about getting a treatment with Belotero, you will find the frequently asked questions down below. Click on the question to see the answer. Once you are happy to proceed with your treat- ment, your practitioner will ask you questions about your medical history, current medications and any other relevant medical information. During the treatment session, the product is injected into the specific area of the skin to be treated, using a very fine needle/cannula. The treatment is quick, typically taking about 30 minutes. 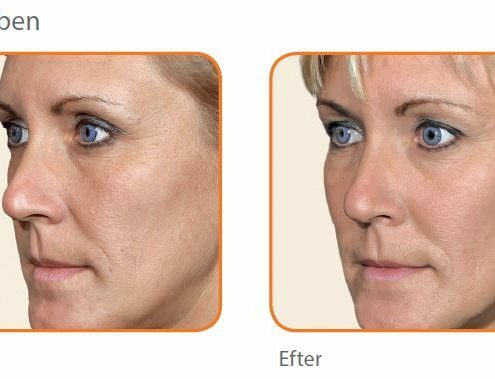 When injecting into the skin to correct lines and wrinkles, to sculpt contours or for rehydration, the treatment is relatively painless. Some people may experience the treatment as a mild dis- comfort. 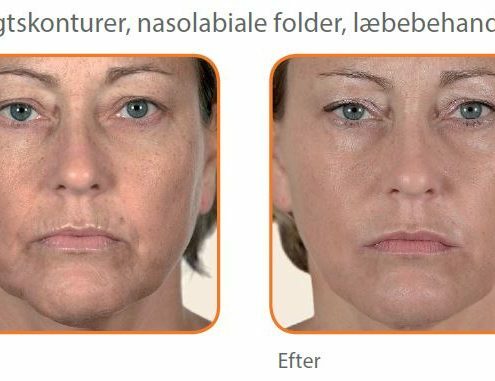 Our fillers are now available with lidocaine and help to reduce the sensation of pain you may feel and to maximise your comfort. How long will Belotero last? Duration depends on many factors, such as the type of treatment, the treated area, the individual’s skin type, skin condition lifestyle and age. Are there any risks or side effects with Merz products? your doctor of any and all allergies, especially to lidocaine, before treatment. You should always discuss any side effects and/or post treatment reactions with your practitioner. Your practitioner is fully qualified, don’t be afraid to ask many questions. Do you want to know more about the possibilities of becoming a retailer of Belotero? Are you considering getting a treatment with Belotero? Contact your nearest retailer for more information. Do you know Merz Institute of Advanced Aesthetics? Merz Institute of Advanced Aesthetics (MIAA) is an online e-learning program where you can develop and optimize your skills and knowledge in the aesthetic field; from modules dealing with facial anatomy, aging and clinical practices to modules about Merz’ portfolio of products. MIAA also offers CME certified courses. As a division of the Merz Pharma Group, Merz Aesthetics is one of the world’s leading aesthetics companies. Healthcare professionals in more than 90 countries use Merz’ products. 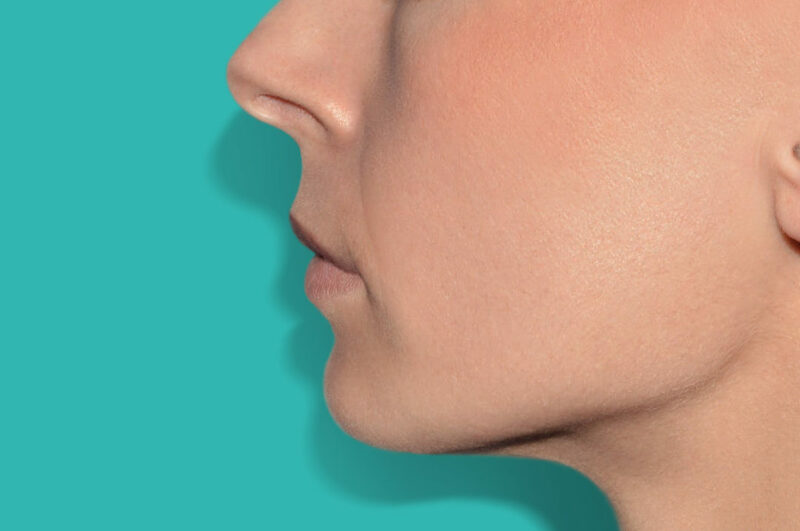 They offer a multifaceted portfolio of minimally invasive aesthetics treatments as well as a unique range of customer services and professional training. Building on more than a century of healthcare expertise, they have a clear mission: We strive to improve patients’ health, helping them live, feel and look better. Since creating the world’s first anti-wrinkle cream in 1953, Merz has been a driver of innovation in the fast-evolving field of aesthetic medicine. Merz is a privately held pharmaceutical company based in Frankfurt, Germany, with own branches in various European countries as well as the US, Canada, Mexico, Brazil and Asia Pacific. The company is active in research, development and distribution of innovative products in the areas of aesthetic medicine and dermatology as well as in the field of neurologically induced movement disorders.